This beautiful bracelet measures 2.5-inches inside diameter, but does expand to fit all. each bead measures 23mm x 19mm x 9mm. 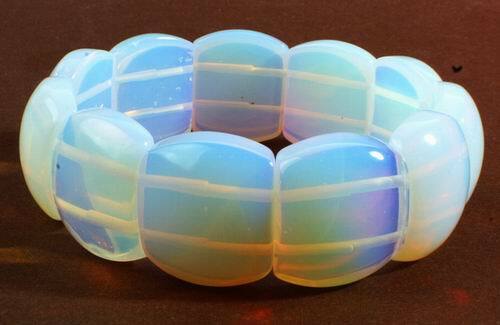 Crafted from opalite moonstone.